Senior Virginia Egusquiza looks to have another successful year for the Broncs as they seek to defend their NEC championship. As students begin their first week of classes, Rider athletes have already been hard at work over the summer preparing for the 2011 fall seasons. 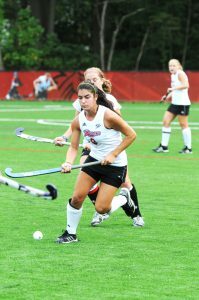 Men and women’s soccer, men and women’s cross country, men and women’s tennis, golf, volleyball, and field hockey have been hitting the courts, green, and track this summer in their efforts to come out successful by the end of 2011. Appearing in the spotlight again this year is the field hockey team, led successfully by their coach Lori Hussong. Returning players this year include seniors Rebecca Lotito, Megan Pisani, Virginia Egusquiza, Natasha Tukeva, junior Marlaine Schneider, and sophomore Sandra Penas. The Broncs are the favorites to win the NEC regular season title. On Aug. 27, the field hockey team won 9-3 over Ball State. They returned to their new turf field on Friday, and defeated La Salle, 2-0. As for the women’s soccer team, the Broncs hope to grow stronger from their season last year after falling short in the MAAC semi-finals. Returning players include juniors Kaitlin Wylie and Meghan Mohr and sophomores Carolyn Wiley and Becca Kape. Coming into this season, the girls let their past get the best of them with a loss against Mount St. Mary’s, but managed to rebound and secure a tie against Fairleigh Dickinson three days later. Their last two games resulted in shutout wins over Bryant and NJIT. As for the men’s soccer team, returning players include seniors Samuel Bryant, Jonathan Burd and Alex Titus and junior Matt Perrella. Last year, the boys only managed to get two wins and a tie under their belts, but it seems that they’ve taken a turn for the better at the start of their 2011 season. Their first game of the season was a win against Seton Hall. The following game against Lafayette, the men allowed a goal in double overtime which sent them home disappointed. The men and women’s cross country teams have also been kicking it into gear. Returning runners include senior Michael Lindner and junior Kurt Morrison for the men, and senior Kelli Kaelin and junior Kimberly Thompson for the women. 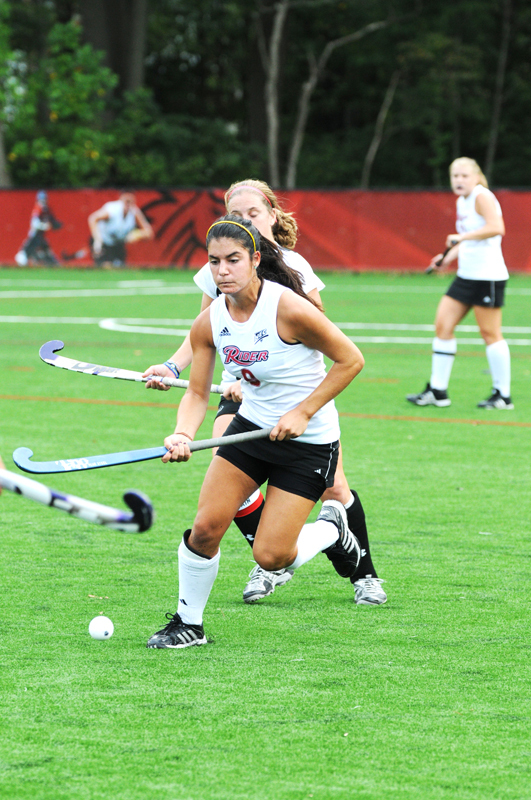 Their season began on Sept. 3 against TCNJ and Saint Joseph’s in Pennington. The men and women’s tennis teams start their seasons off against Lafayette on Sept. 14 and 15. Both teams struggled again last season but look to do better this fall with more determination. Returning to the courts are juniors Ryan Carpenter and Milo Milosovici for the men’s as well as senior Danielle White and junior Marly Roche for the women’s teams. The volleyball team seemed to be on the same page as the tennis team last season after struggling to stay competitive against a tough schedule. The girls added five wins to their record last year and hope to win more this season. Returning girls include senior Camellia Kuban and juniors Briana Wallace and Haley Wilson. The Broncs have started the year 1-1 with a win against St. Francis before falling to Fordham. Last but not least, the golf team returns seniors Ryan Criscuolo and Chris Wolak to the green. They begin their season on Sept. 10 in Connecticut at the CCSU Blue Devils Fall Invitational.